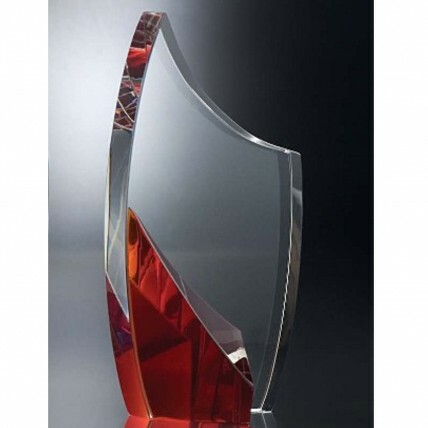 Are you looking for an eye-catching award with the perfect combination of shape and color? The designer Swooping Scarlet Crystal Blair Award, created by Toujours, is definitely your solution! 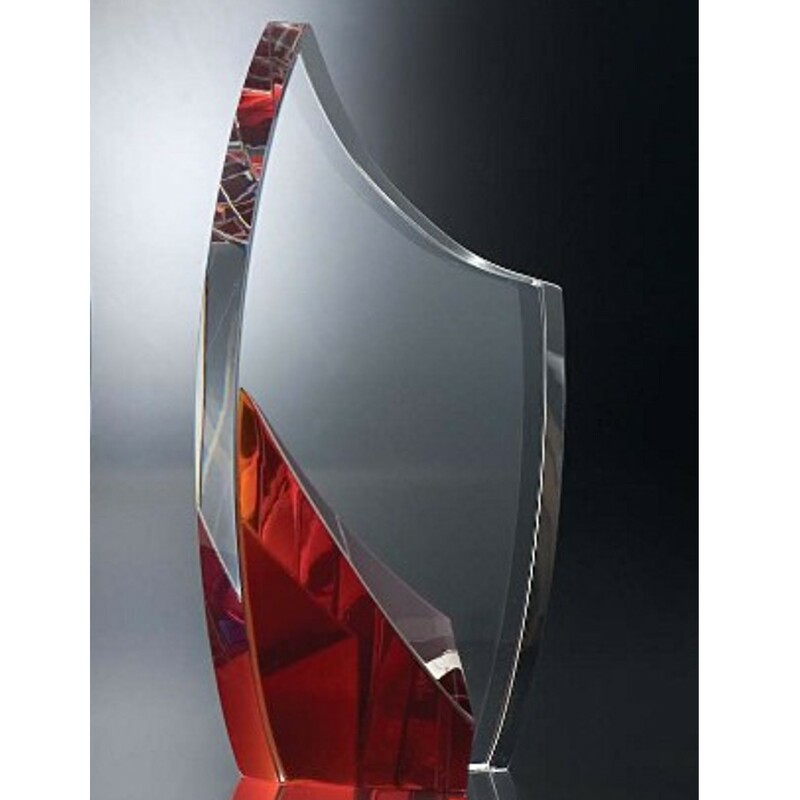 This 8 inch tall solid crystal is an elegant modern shape with swooping top and sides. Bright scarlet red coloring radiates throughout the award and your free engraving of logo and text. Choose this brilliant crystal for your next event!